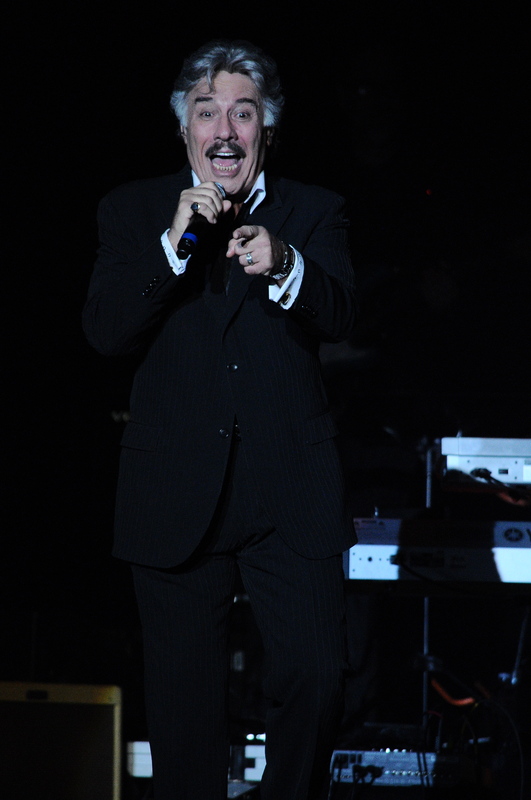 If you had seen one of Tony Orlando’s world renowned Christmas shows, you probably were left wondering how one of his regular shows played out. Well, that question was answered Saturday afternoon as he took the stage at the Avalon Ballroom inside the Fallsview Casino. Orlando has been entertaining audiences for over fifty years and he knows what works. Orlando sang, played some drums, a little guitar and told stories giving the audience a few laughs but above all he was sincere in everything he said. He was backed by a solid a band which included the very talented Toni Wine who co-wrote Orlando’s smash “Candida” among other songs. The rhythm section included bassist Jim Shelton and drummer Tim Pope. The duo of brothers Kerry (guitar, keyboards) and Tracy Cole (lead guitar), along with Orlando’s youngest brother David (keyboards) rounded out the lineup. Orlando started the show by playing “Candida” segueing into chart topper “Knock Three Times”. His biggest hit “Tie A Yellow Ribbon Round The Ole Oak Tree” was next followed by “Say, Has Anybody Seen My Sweet Gypsy Rose”. With an arsenal of so many songs at his fingertips, it was disappointing to see him not dust off his songbook a little more. He did give his band time to shine as he knows how lucky he is to have some of them playing with him. Kerry Cole was given a whole segment in which he sang songs from Willie Nelson, Johnny Cash among others and sounded uncannily similar to the artist. The band closed out the show with a selection of Beatles songs before bidding the crowd farewell. Orlando has done it all in the entertainment business. From working as a record company executive, producer, actor and singer, he has wowed audiences for over five decades. From a very successful television show in the seventies to still performing live today, he remains one of America’s best loved personalities. His manner, integrity and honesty come to the forefront and wins you over. While his career hasn’t been all sunshine, all things considered, this New York City native has done pretty darn good for himself.